This two-part blog post is by Jen Munch, former intern in The Phillips Collection’s Conservation department and current Graduate Fellow in Art Conservation at SUNY Buffalo State. In the summer of 2017, I had the pleasure of working as a graduate intern in the conservation department at The Phillips Collection. During my 10 weeks at the Phillips, I spent most of my time indoors in the museum’s serene and air-conditioned conservation studio, working on conservation treatments for modern paintings in the museum’s collection. 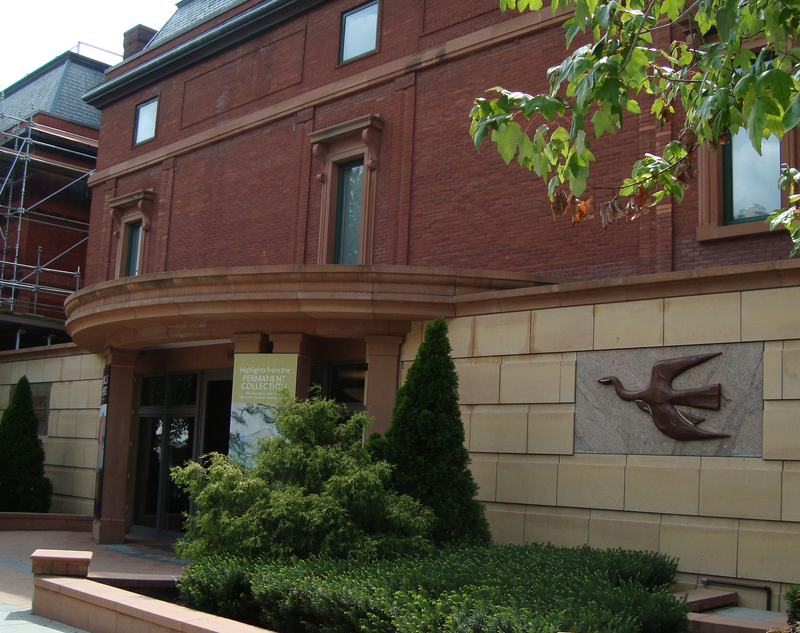 Figure 2: Bird by Pierre Bourdelle, to the right of the museum’s Goh Annex entrance. In addition to paintings, I had the opportunity to work on the granite outdoor sculpture Bird by Pierre Bourdelle, which serves as a symbol of The Phillips Collection. When you visit the Phillips, you’ll see this sculpture to the right of the museum’s main entrance. 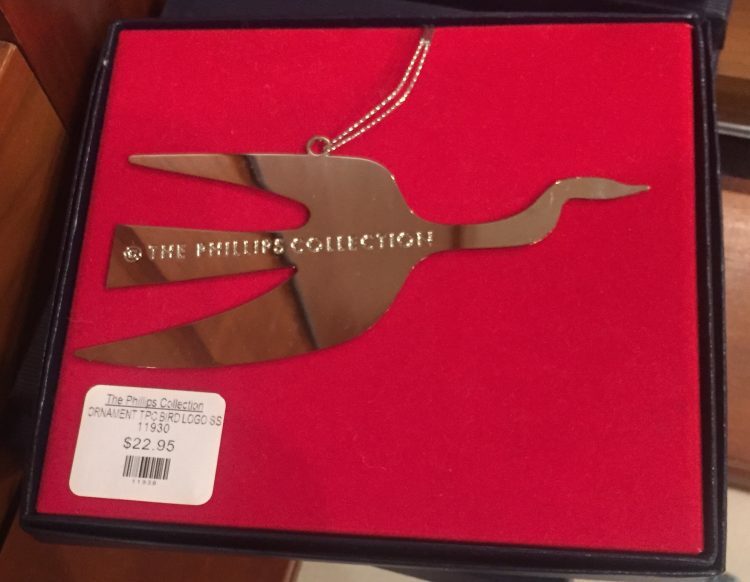 You can also see representations of this bird on some branding for the Phillips, including the favicon (icon on the tab) for this website and as an ornament for sale in the museum’s gift shop [fig. 3]. Figure 3: Bird ornament in the Phillips gift shop. 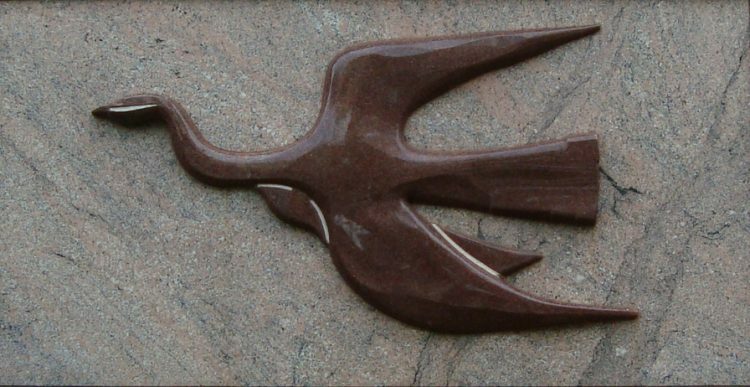 This low relief sculpture of a dark granite bird on a speckled granite slab was commissioned in 1960 by Duncan Phillips and is based on a 1956 lithograph of a bird by Georges Braque [fig. 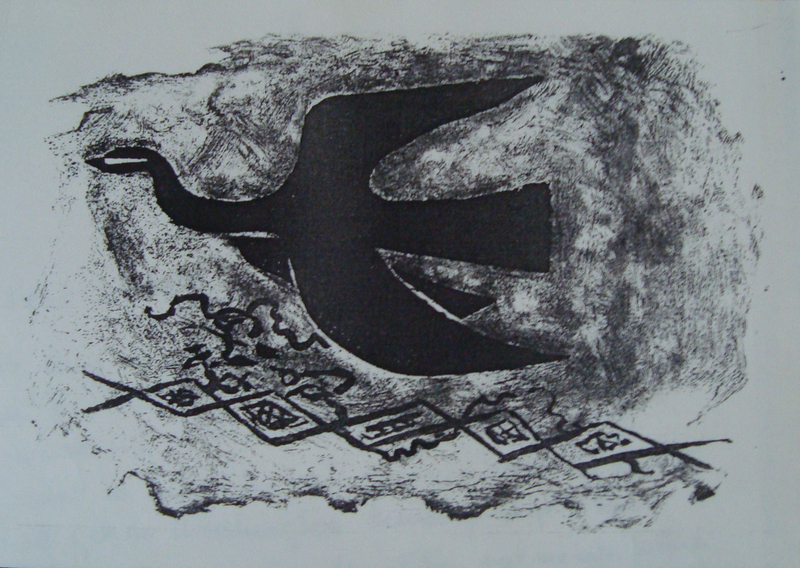 4] that Phillips saw reproduced in the magazine Cahier d’Art (1956-57). 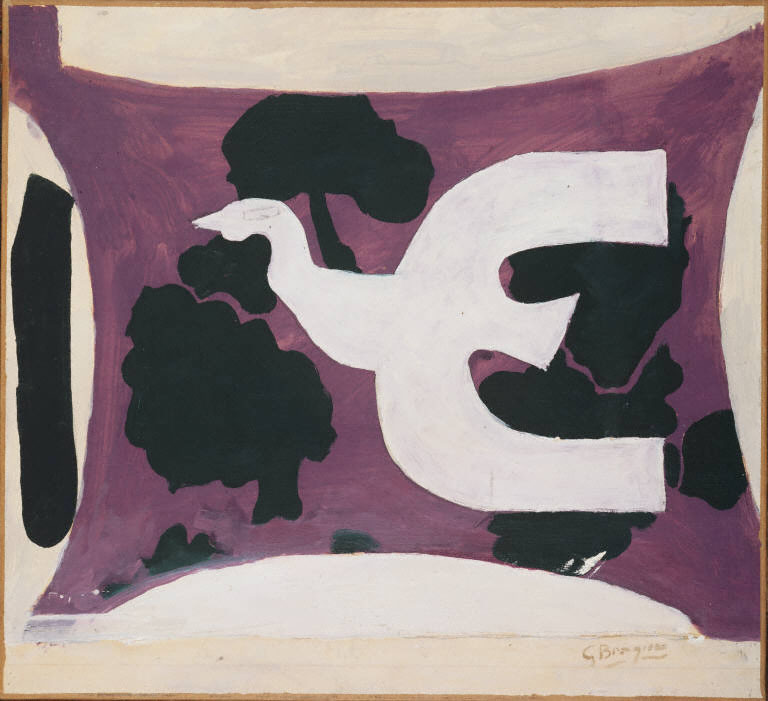 Phillips contacted Braque in 1959 with the goal of commissioning a sculpture of the same subject. Figure 5: “Bird” sculpture during fabrication in Pierre Bourdelle’s workshop. 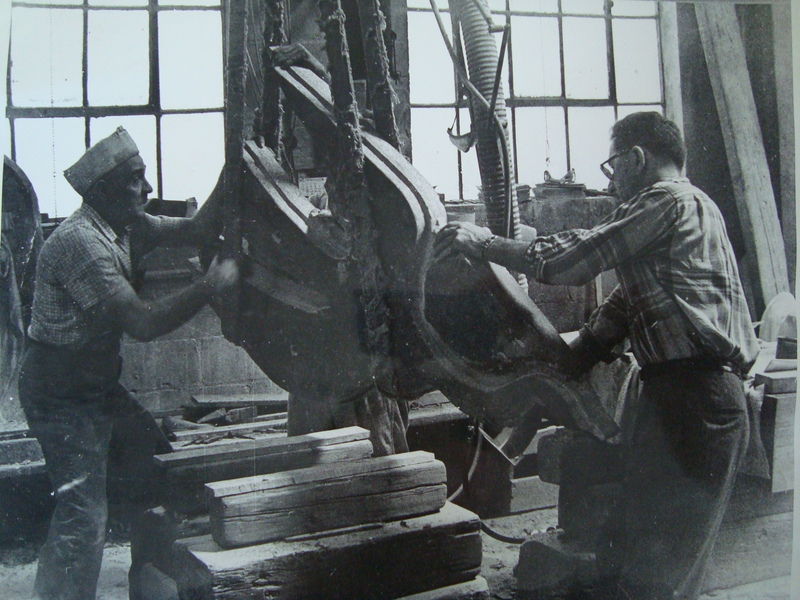 When Phillips commissioned the sculpture, he planned for it to be installed over the original entrance to the museum. The bird was initially installed in this location and was, for a long time, the first artwork any museum visitor would see. The bird sculpture was especially resonant with the first gallery visitors saw, which was hung with, “a choice group of Braques, ranging from 1914 to 1956,” according to a 1967 note by Phillips Collection registrar John Gernand, found in the sculpture’s curatorial file. Among the Braque paintings acquired by Duncan Phillips is a 1956 oil on canvas by Braque of the same subject [fig. 6].